Summer is the perfect time for outdoor concerts in Rochester. 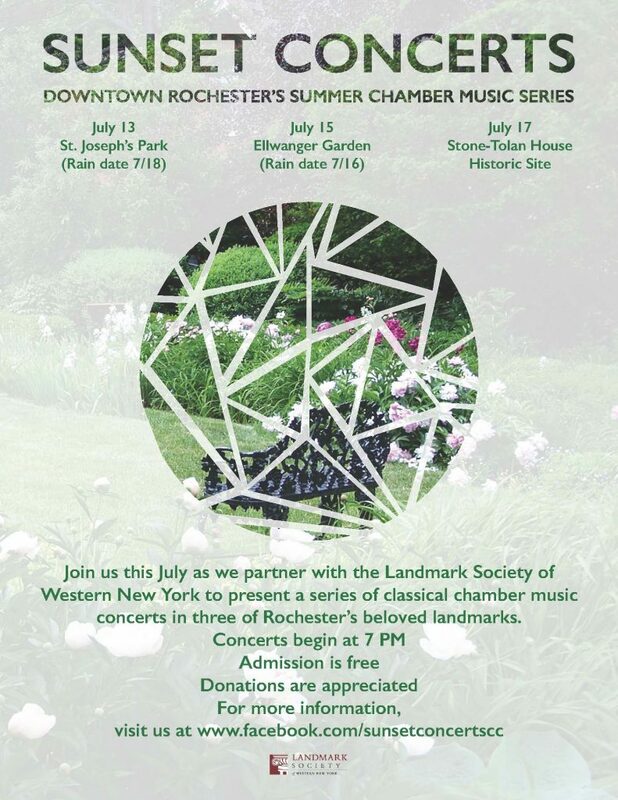 This week Sunset Concerts, downtown Rochester’s summer chamber music series, is partnering with The Landmark Society to present classical chamber music concerts in three of Rochester’s beloved landmarks. 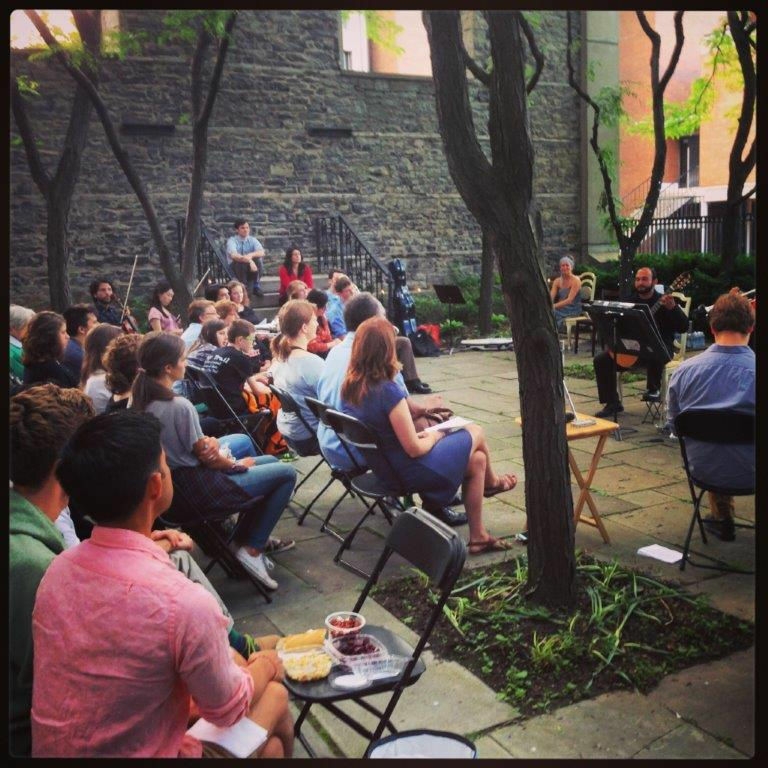 St. Joseph’s Park, 108 Franklin Street, is the setting for the first concert on Wednesday, July 13. (Rain date: July 18.) Please bring your own chairs. The Ellwanger Garden, 625 Mt. Hope Avenue, is the venue for the second concert on Friday, July 15. (Rain date: July 16.) Please bring blankets for lawn seating. Follow signs for adjacent parking area. The final concert will be held at the Stone-Tolan House Historic Site, 2370 East Avenue, Brighton, on Sunday, July 17, rain or shine. (Concert will be held in the barn if it rains.) Please bring blankets or camp chairs. Some bench seating will be supplied. All concerts begin at 7 PM. Admission is free, but donations are appreciated. Light snacks and drinks will be available for purchase. For more information, visit the Sunset Concerts Facebook page. This entry was posted in Updates by Gina DiBella. Bookmark the permalink.